This is the first course in the 11-part series of Building a Community-Based Palliative Care Program. You can take this single course or the entire series. Developing a new community-based palliative care program is an essential element of a post-acute care strategy. The development process requires an investment of time, resources, and finances. Rather than waste time with false starts, inadequate plans, and rushed implementation, wouldn’t you rather begin with a head start? This self-paced How to Get Started online course provides a brief overview of the ten-step process for building community-based palliative care programs, as well as the rationale for each of the steps in the process. 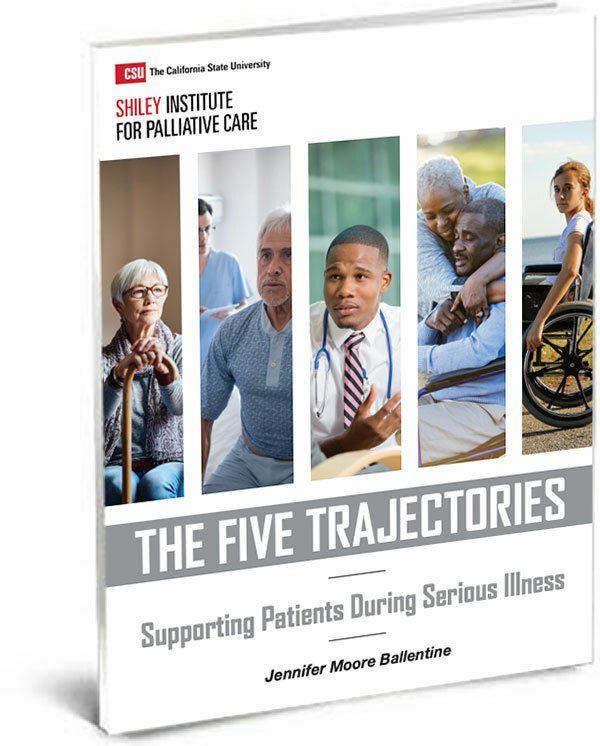 With this overview, you can become acquainted with the Building a Community-Based Palliative Care Program series, developed by national leaders and experts, specifically for the CSU Institute for Palliative Care. 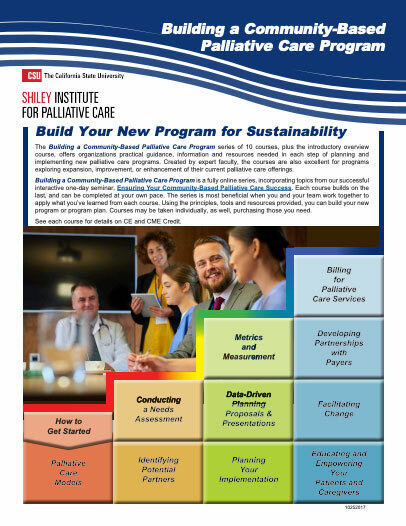 The CSU Institute for Palliative Care’s community-based palliative care development process is described, allowing programs to understand the resources required to build a successful program. Participants will explore the benefits of a multidisciplinary implementation team and be able to download a tool that can be used to select team members. The pros and cons of hiring a consultant to facilitate the development and integration process are also described. Section 3: Do You Need a Consultant?